We know running a business is time consuming and there are tasks that you simply may not have time for. Let SERVPRO of Anderson take care of the details. Call us today at 765-643-6265 and find out how we can help you. After a long winter, we are all ready for spring like weather in Central Indiana. However, with warmer temperatures there is an increased risk of severe weather. Falling tree limbs, hail, and high winds can cause damage to your roof. 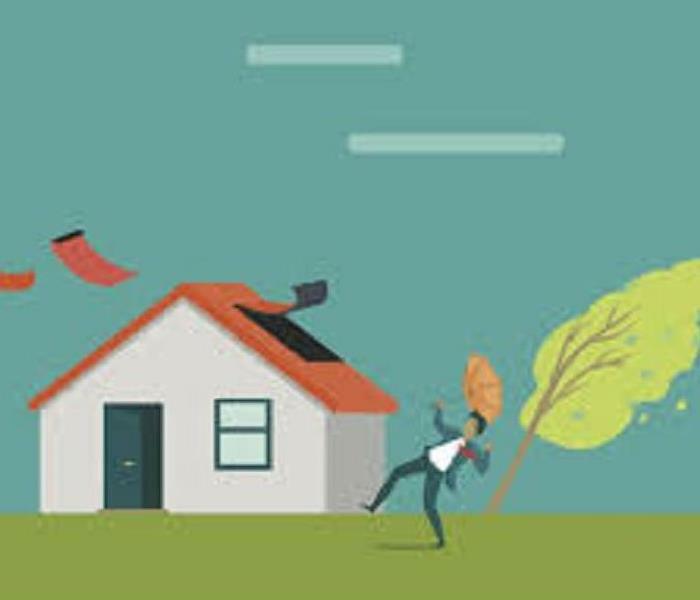 If you suspect that your home may have sustained damage in a storm, safety is your first priority: do not try to assess the damage to your roof by yourself. Stay on the ground and call the trained professionals at SERVPRO of Anderson at 765-643-6265. We can provide emergency roof tarp installation and board up services that will help to prevent secondary damage caused by weather, animals or illegal entry. We are available 24 hours a day to secure your property and begin the process of making your home "Like it never even happened." Don't attempt to wash any walls or painted surfaces or shampoo carpet or upholstery without contacting SERVPRO of Anderson at 765-643-6265. We know you have questions after a fire. Call SERVPRO of Anderson at 765-643-6265 and a restoration specialist will be on site quickly to assess the damage and create a plan to make your home "Like it never even happened". We are available day or night to answer your questions and ease your mind. With spring right around the corner, the risks of property damage from severe weather go up. From a flooded basement to a devastated commercial building, the restoration experts at SERVPRO of Anderson are ready to jump into action to make your property "Like it never even happened". We are a family owned business and we take pride in the service that we provide to our customers in our community. As part of a national franchise system, we also have the resources to take care of large losses that accompany natural disasters. If your home or business is the victim of severe weather this spring, call the experts at SERVPRO of Anderson at 765-643-6265. We are proud of our reputation as Central Indiana's premier restoration company for fire, smoke and water damage to residential and commercial properties. However, we offer a wide variety of other services to keep your commercial property looking its best. When your business needs more thorough cleaning, odor-removal or moisture control than you can receive from traditional janitorial services, call SERVPRO of Anderson today. Our professionals provide thorough cleaning of HVAC and air ducts, carpet and upholstery, and drapes and blinds. Our technicians will work quickly and efficiently around your schedule. We know that providing a clean and healthy environment for your employees is important to you. Let SERVPRO of Anderson help your business to shine. Call us today at 765-643-6265. When fire strikes your business, it's hard to know what to first. In addition to structural damage, you are likely to have additional odor from smoke and water damage caused by the efforts to put out the fire. At SERVPRO of Anderson, we know that every hour spent trying to restore you property is an hour of lost revenue and productivity. As small business owners ourselves, we understand how devastating that can be for any business, big or small. After a disaster, our professionals will be onsite quickly and will manage the restoration of your property to its completion. We have the training, manpower and equipment to get the job done quickly and get you back in business. Call SERVPRO of Anderson at 765-643-6265 today. When your Anderson area home is damaged by fire, smoke or water damage, we know you have many restoration companies to choose from. We are a family owned business that has been operating in Central Indiana for more than 25 years. During that time, it has been a privilege to help countless families and businesses by restoring their property and belongings after disaster strikes. Our goal is to build relationships with our customers to help them through this stressful and sometimes confusing time. Our restoration specialists understand that you have questions and they have the training and experience to walk you through the process. We will work closely with your insurance person and be the "point person" on every aspect of your job. Don't go it alone. Call us anytime day or night at 765-643-6265 and let us make your home or business "Like it never even happened." 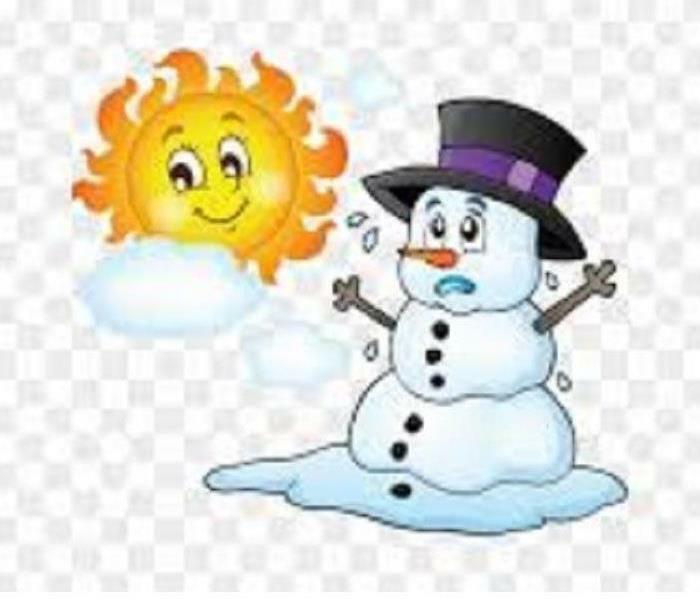 With crazy fluctuations in temperatures, it's hard to know what Mother Nature will throw at us next. After the shocking cold temperatures and heavy snowfalls that come with winter weather, a rise in temperature can feel like a welcome change. Unfortunately, warmer weather after significant snow and ice can lead to flooding and potential damage to your Anderson area home or business. Sometimes preventative maintenance just isn't enough. If your Anderson area home suffers a water damage, contact SERVPRO of Anderson at 765-643-6265. Our technicians area available 24 hours a day to assess your situation and begin the process of restoring your home to its preloss condition. We can make your home "Like it never even happened." If you have experienced fire, smoke or water damage, call SERVPRO of Anderson and let our outstanding employees make your home or business "Like it never even happened". The holidays can be a stressful time: family gatherings, school plays, gift exchanges and all of the shopping and preparations can leave you with little time to clean. 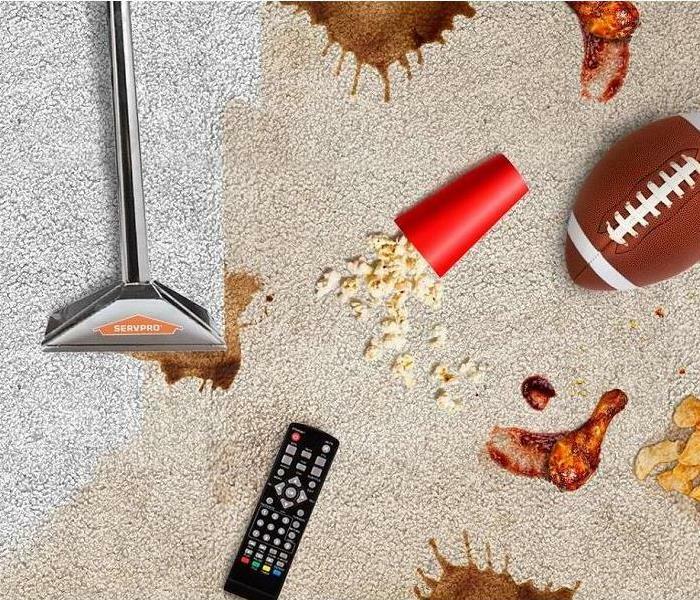 Let SERVPRO of Anderson take something off your already busy schedule and clean your house this holiday season. Our cleaning and restoration professionals have the equipment and expertise to provide a deeper clean than your typical cleaning service. When your to-do list has gone crazy, let SERVPRO of Anderson ease the burden of maintaining a clean and healthy environment for your family. Call today to schedule an appointment at 765-643-6265.